Tent, sleeping bags, raingear: check. Flashlight, S’mores, clean water: check. Sunscreen, toothpaste: check. Finally loaded up for the last camping trip of the summer, you hit the road confidently, knowing that you’re prepared for whatever surprises Mother Nature has waiting for you. You arrive at your campsite and begin to pitch your tent for the weekend, when a single mosquito lands on the back of your neck. Suddenly, in your mind’s eye, you see the lonely, forgotten bottle of bug repellent sitting on the floor at home miles away. A 24-hour open bar for mosquitos just opened. It’s going to be an itchy night. 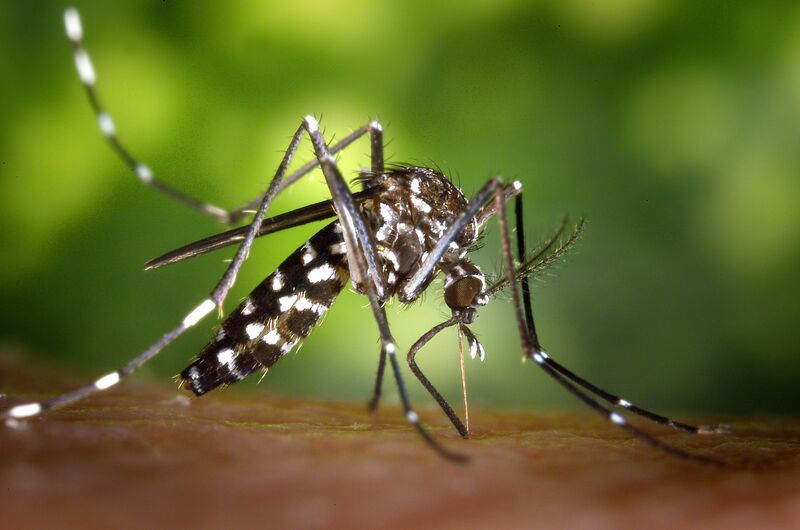 Insect bites are just one example of an itch or, by its medical definition, “an uncomfortable stimulus which encourages scratching.” Certainly, physical triggers such as insect bites, dry skin, or allergies can give your skin that prickling, tingling sensation. Even psychological triggers, such as a video of an ant colony, a picture of a fuzzy wool sweater, or the thought of someone else scratching, may set off your itch response. Odds are good that you’ll experience the temptation to scratch by the end of this article! But why do we itch? Scientists believe it is in our biological circuitry. Our skin is wired to have several open lines of communication with our central nervous systems (CNS), which include our spinal cord and brain. When the skin receives some sort of stimulation, neurons at the skin send signals to our CNS using a complex set of neurotransmitters. These chemicals can then excite, inhibit, or otherwise affect the activity of connected neurons. Sensations such as cold, heat, or pressure indicate that the body might be experiencing an injury. By rapidly communicating this information from the skin to the CNS, the body can quickly react to move away from the source. Itchiness has been engrained in the nervous systems of our ancient evolutionary ancestors for millions of years. But we are only just now starting to untangle the specifics of how itch is processed by the brain. In the CNS, the sensation of itch is intimately related to pain. In the early 1900s, neuroscience textbooks described itch as being a “lesser” sensation of pain. According to this “Intensity Theory” of pain, it was believed that minimal activation of the pain-sensing neurons, called nociceptors, leads to itching, while strong activation produces pain. While not entirely true, these early scientists had the idea that both itch and pain signals are transmitted by the same channels of communication. More recent research shows that neurons which transmit dull painful stimuli – diffuse pain, like a persistent muscle ache – can also carry itch signals. Today, scientists believe this is only part of the picture, however. A subset of neurons in the spinothalamic tract – which can run from the spinal cord all the way into the brain – is responsive to itch-promoting neurotransmitters, but not other types of pain like heat or pressure. This means the brain receives itch signals from two different sources: the dull-pain-transmitting C fibers and these specialized itch fibers. So what can we do the next time we feel the compulsion to scratch? Neuroscience tells us the same thing our mothers did when we were children: DON’T SCRATCH. Scratching relieves the itch by confusing the brain, but only temporarily. The sharp feeling of nails on your skin stimulates the nociceptors, sending pain signals that overwhelm the itch signals. The brain reacts by produces serotonin, a pain-inhibiting neurotransmitter. The downside? Serotonin also hyperexcites the neurons which carry itch signals – scratching now only makes future itches even more irritating, creating a vicious cycle of itching and scratching, and then more intense itching. Happiness isn’t having a scratch for every itch, after all. While scientists and clinicians have advanced our understanding of itch beyond the “Intensity Theory,” the big question still remains: Is there a better way to treat intractable itching? Science is making strides to identify the specific chemical signals that are uniquely responsible for itch, and development of a drug to block only this signal would go a long way to relieve the discomfort. Our skin faces many reasons to get itchy all year round, from camping season to autumn allergens to dry winter air. No matter the stimulus, hopefully, understanding the nervous system will give you a sense of just what your body is experiencing every time you get the urge to scratch.